Thousands of parents, teachers, students and community members took part in walk-ins at schools statewide on Wednesday morning before classes started to show their support for students and teachers. 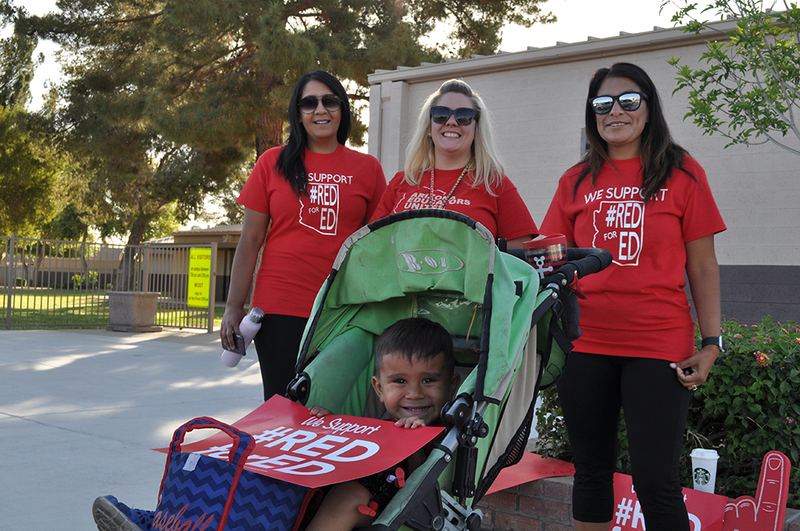 The walk-ins were organized by Arizona Educators United as part of the wear #RedForEd movement to provide information and seek community and student support for their efforts to encourage lawmakers to raise per-pupil education funding to what it was before the recession and raise teachers’ salaries by 20 percent to be competitive with neighboring states. 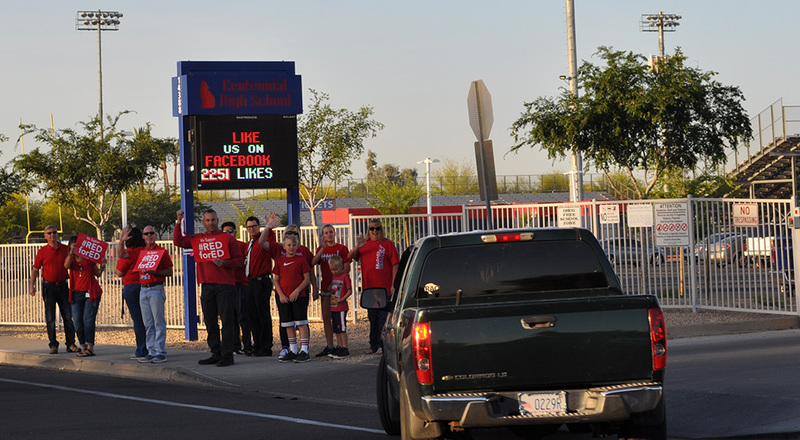 At Centennial High School, community members, parents, teachers held up signs reading “We Support #Red for Ed” and waved at parents and students as they drove onto the school’s Peoria campus. 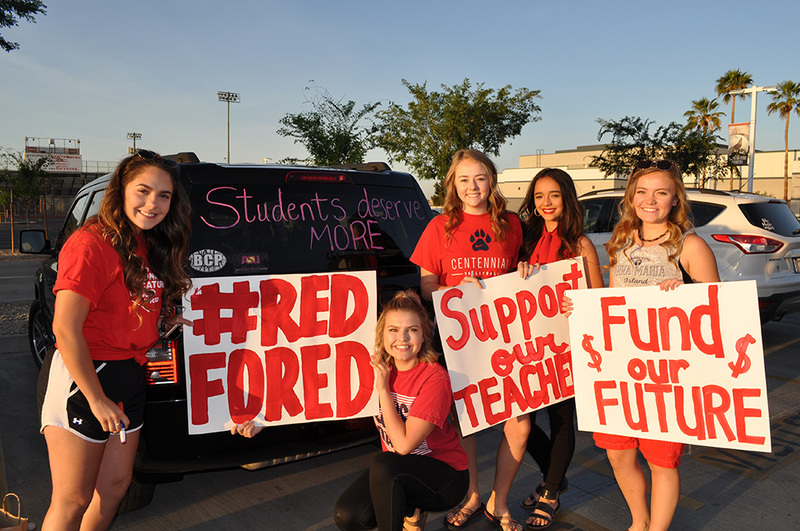 A group of students at Centennial High School, including Kailey Benson, Taylor MacFarlane-West and Micah Geblis, painted a message on the rear window of their car that said “Students deserve more” before the walk-in started on the Peoria school campus. 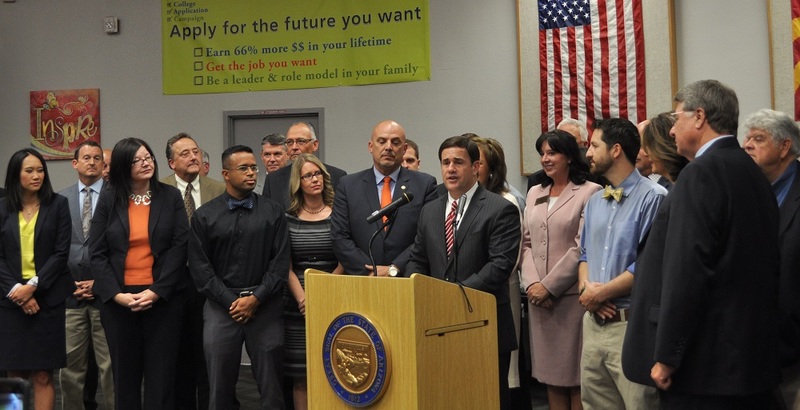 “I have family members who are teachers – most of us all do – and our teacher Ms. Garrigan is so important to us, and we all like really believe that this is just …” said Abby Hauser, a student at Centennial High School. “It’s a cause worth making people aware about,” said Cassidy Gamel, a student who finished her friend’s thought. After attending the walk-in at Sundance, Jenina Alvarez talked with school staff after she dropped off her daughter for classes. 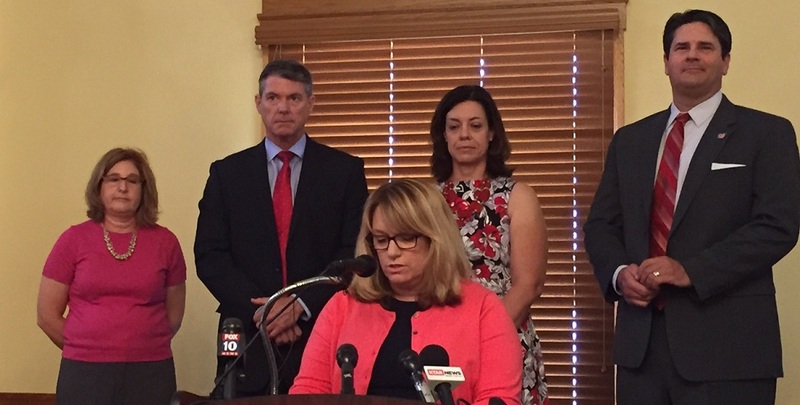 Kate Hoffner, a guidance counselor at Centennial and mother of young children, said she’s concerned that so many teachers are leaving the profession. 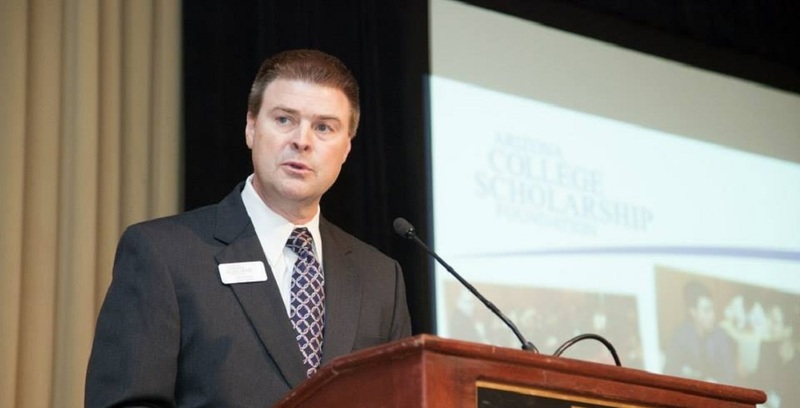 Many teachers who leave the profession have gone into “real estate or something else where they can make more money with less pressure,” Hoffner said.